Completely transportable, the Retractable Safety Cone can be stored in the smallest areas and extended to a highly visible traffic management device to alert of hazards or danger ahead. With a compact size of 1.4"Height x 9.6"Width x 9.6"Length, this traffic cone can be stashed virtually anywhere like storage closets, car trunks, under seats, in tool boxes and more! 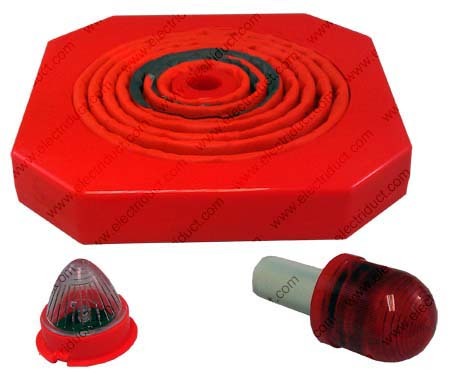 These caution cones are designed to be used in and outdoor, day or night, for temporary applications. Made from durable, waterproof cloth and ABS plastic, each construction cone is bright orange with CE certified reflective tape and LED lights on the top and bottom. Parking lots, concert halls, stadiums, neighbor hoods and other environments can benefit from cone-shaped markers to temporarily redirect traffic.